Looking for a high-intensity, low-impact total body workout? 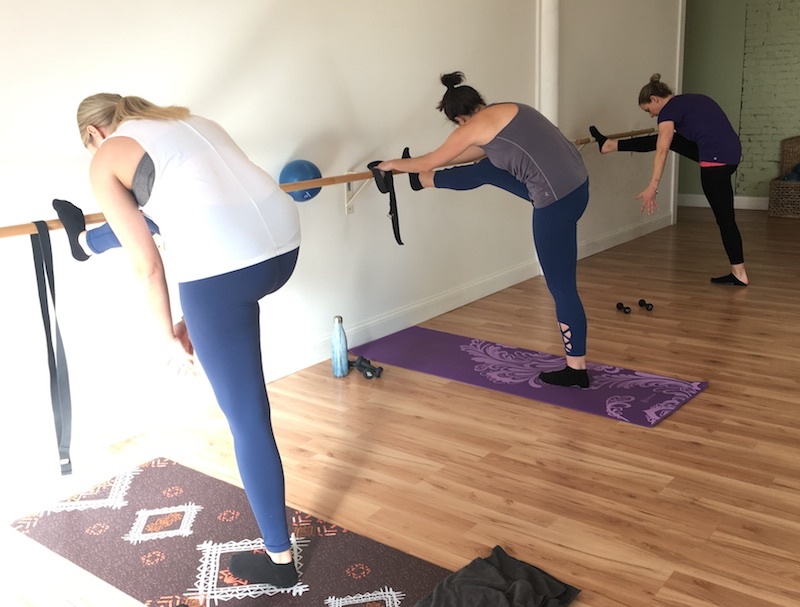 Try a barre class — like this one at Magnolia Fitness in Portland, Maine. 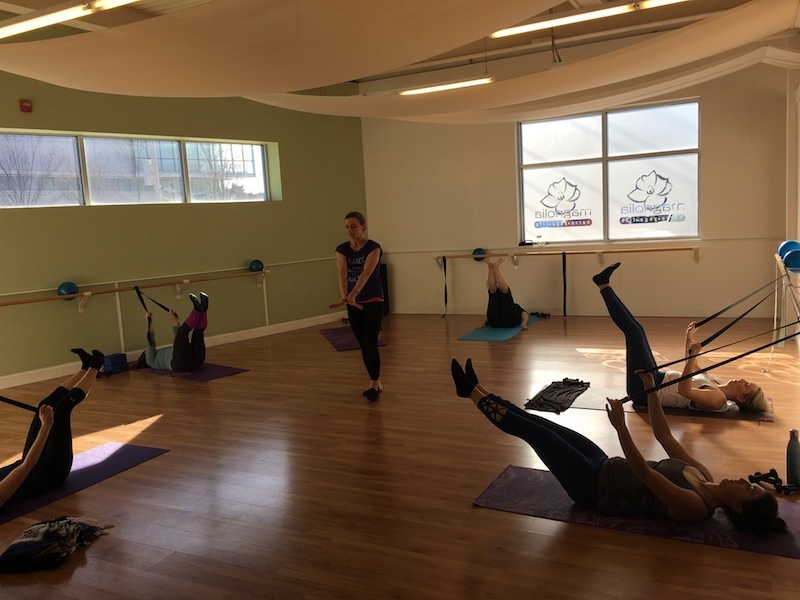 A barre is the horizontal bar ballet dancers use for support when they’re training or doing warm-up exercises. It serves the same purpose in a barre class. Barre fitness classes are inspired by ballet, as well as other forms of movement. At Magnolia, owners Jessica Little and Anne Davis developed a barre routine they call — what else? Magnolia. 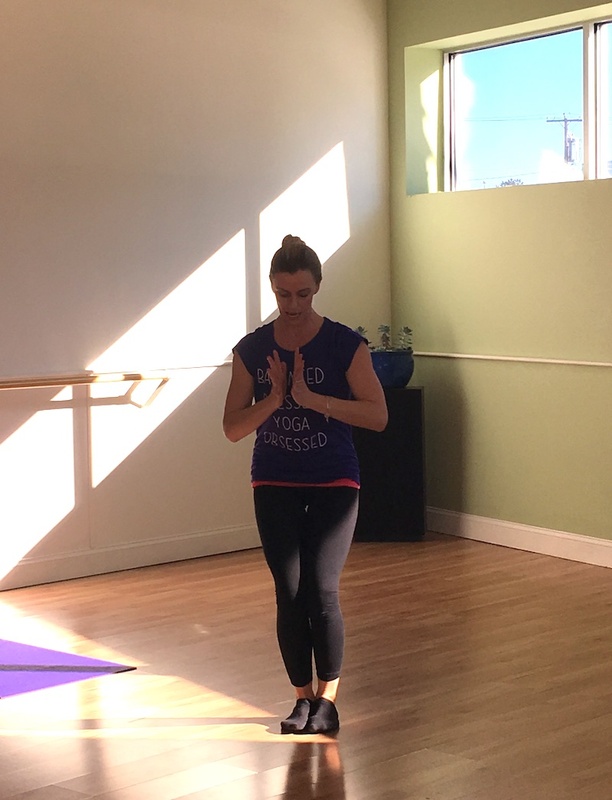 Jessica, who has been a fitness instructor for years, says she tried barre on the advice of some friends and was hooked. 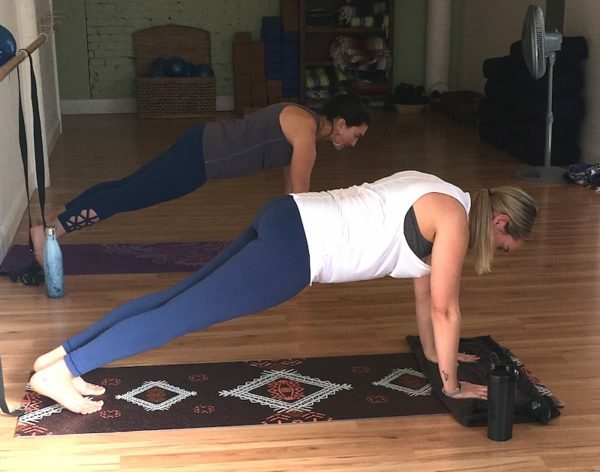 “It’s a great combination of strength training and stretching that also incorporates some of the philosophies of yoga, pilates, and traditional ballet,” she says. Some of the moves are traditional ballet positions. For instance, the feet may be turned out and you may come up on your toes as if doing a relevé or get down into a squat similar to a plié. The workout at Magnolia begins with mat exercises that include planks and push-ups. Next are a series of exercises that involve small movements and lots of repetitions. And the great thing said Lisa is that it’s not at all competitive. It doesn’t matter if someone moves farther or gets lower than you. Everyone is getting a workout. The goal is simply to challenge yourself. There are several barre classes throughout the country, including in Maine. If you’re interested in Magnolia Barre, check out the website. 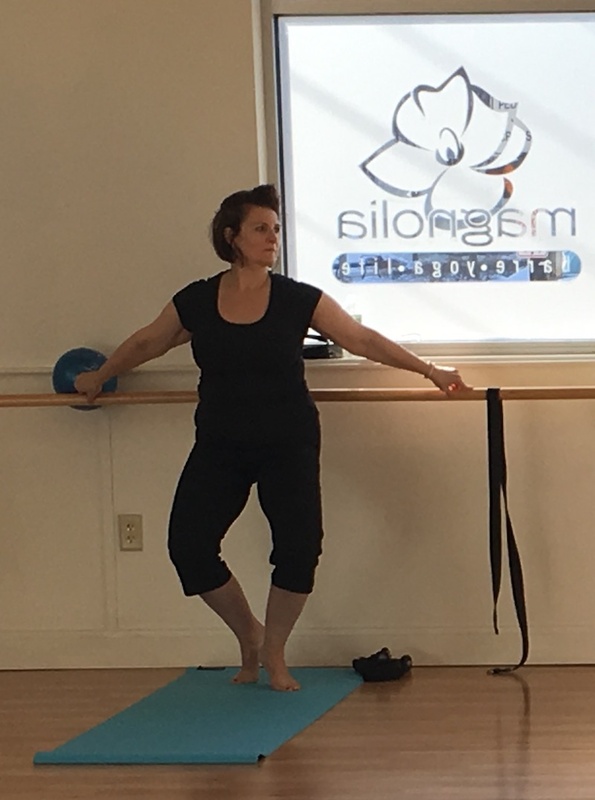 And if you’re interested in becoming an instructor, you’ll also find information about a Magnolia Barre Teacher Training at the studio this spring.